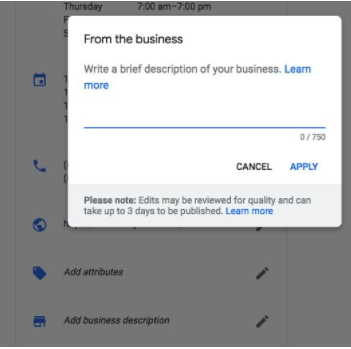 Google has announced that you can now add a business description to your Google local listings directly within Google My Business. The business description can show up in the local knowledge panel in search or in Google Maps results for the business. To add your business description, log in to Google My Business, click on the “Info” button on the menu bar, and then you’ll see that one of the new sections is labeled “Add business description.” Click on the pencil icon next to that field, and a menu will come up letting you enter a brief description of your business. Google has also posted more details about this feature in its help docs. 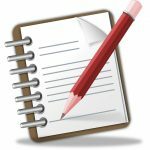 Need help creating a professional, polished business description? We can help. Simply let us know and our PR wizard will craft the perfect bite-sized description of your business per Google’s requirements.